The Unscented Olive Castile Soap is made purely from Olive Oil, no added fragrances. 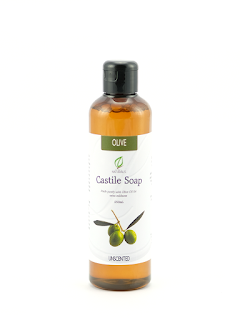 It is the least cleansing of all the soaps but is the gentlest, as all pure olive soaps are. The thickest among our line of soaps, when you add your fragrance, this may thicken so just add more water to achieve the desired consistency. Mix with Coconut Unscented Castile Soap for a more bubblier effect. 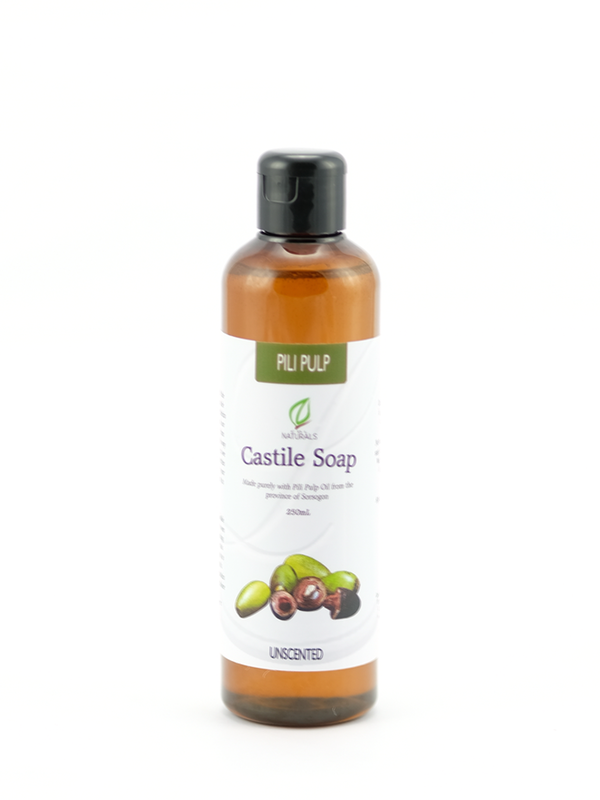 The Unscented Pili Castile Soap is made from oil extracted from the pulp of Pili. From the province of Sorsogon in the Bicol region, the oil is made by hand. This soap also has no added fragrances, though good to be used on its own, we recommend mixing with Coconut and Palm Unscented Castile Soap for a more delightful lather and cleaning. 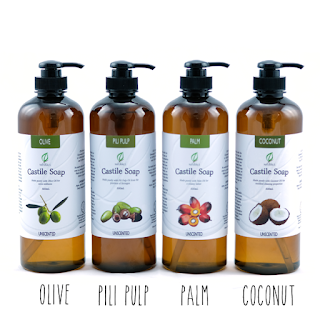 The Unscented Palm Castile Soap is made from RSPO Certified Palm Oil sourced here in the Philippines. This as well has no added scent, and imparts a creamy lather on your soap blends. Perfect for mixing with all other CDL unscented variants. The Unscented Coconut Castile Soap is the most cleansing of all our variants. Made entirely from coconut oil, this soap creates good bubbles and impart a high cleaning function to your soaps. We recommend blending this with other variants to maximum 50-75%.